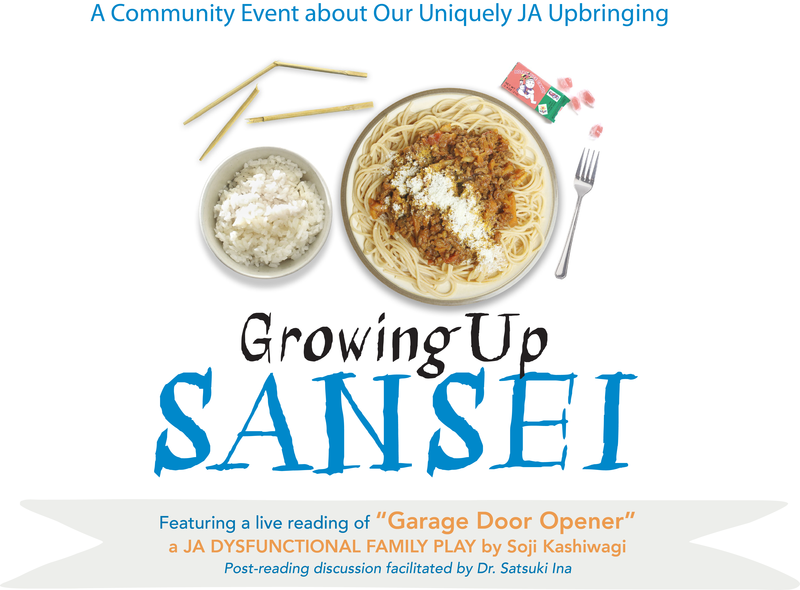 Grateful Crane's "Growing Up Sansei" is coming to the Midwest! Check back for more updates! In the play, we meet Glenn and Sharon Tanaka, a Sansei brother and sister faced with the daunting task of cleaning out their parent’s garage and house after they passed away. As they sift through dozens of empty tofu containers, kamaboko boards and broccoli rubber bands, Glenn and Sharon begin to uncover items from their past that they knew nothing about, and in the process, begin to gain a better understanding of their parents—and thems elves—by the items their mom and dad left behind. After the reading, Dr. Satsuki Ina, an expert on JA family dynamics, will facilitate a dialogue about the play with Soji Kashiwagi, and answer questions about issues such as camp and its after-effects on the Nisei, Sansei and subsequent generations, shame and not bringing shame on the family and decluttering one’s life of both emotional and physical baggage. For more information or to reserve tickets, please send an email to gratefulcrane@gmail.com or call (310) 995-5841. © 2017 GRATEFUL CRANE ENSEMBLE, Inc.